The Handbook of Thermal Analysis of Construction Materials by Edited By V. S. Ramachandran, Ralph M. Paroli, James J. Beaudoin & Ana H. Delgado soon to be available at the top-quality BookLovers of Bath web site! Published: Norwich: Noyes Publications, 2002, Hardback. 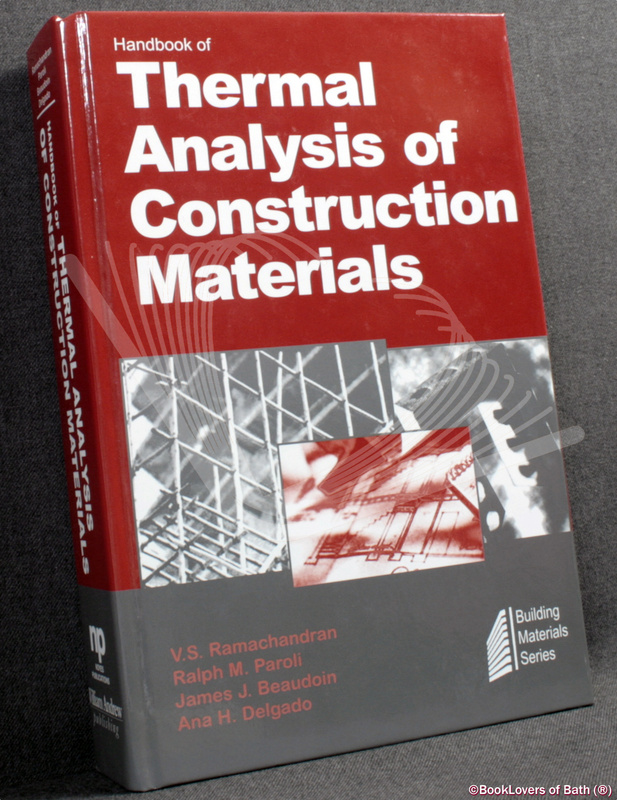 From the cover: This comprehensive book containing essential information on the applicability of thermal analysis techniques to evaluate inorganic and organic materials in construction technology should serve as a useful reference for the scientist, engineer, construction technologist, architect, manufacturer, and user of construction materials, standard-writing bodies, and analytical chemists. In the Building Materials Science series. Pictorial boards. [XXII] 680 pages. Index. 9¼” x 6″. Of course, if you don’t like this one, may I sweet-talk you into considering additional gorgeous books hither or maybe further, hand picked, books in my Industry Construction catalogue? This entry was posted in Books For Sale and tagged 0815514875, 9780815514879, adhesives, admixtures, analysis, building, cement, concrete, construction, engineering, formation, gypsum, handbooks, hydration, manuals, materials, paints, portland, properties, roofing, science, sealants, technology, thermal. Bookmark the permalink.